Nikola Motor Co. plans to locate its emerging network of hydrogen fueling stations to accommodate the logistics network of a major manufacturer, according to the truck maker, which did not identify the manufacturer. “We have not announced [the locations] but I can tell you this: One of the largest, most well-known brands in America will be moving all their freight with our trucks. So we are building our network around their logistics,” Nikola founder and CEO Trevor Milton told Transport Topics on Nov. 27. Salt Lake City-based Nikola chose Nel ASA as the sole equipment supplier to create the hydrogen fueling network, with Nel to provide engineering, electrolysis and fueling equipment. Nikola will provide the balance of plant, construction, dispensers and other station equipment. Nikola is developing hydrogen-electric Class 8 trucks scheduled to be road-tested in 2018 and manufactured in 2021. “Essentially, what [the well-known brand] is going to be doing is contracting us to move all their freight. U.S. Xpress will be the one moving the freight, but it will be with all of our trucks. So we are building our stations around [the shipper’s] network,” Milton said. U.S. Xpress Enterprises ranks No. 21 on the Transport Topics Top 100 list of the largest for-hire carriers in North America. U.S. Xpress, whose logo was on the truck Nikola rolled out for the first time in December 2016, did not respond to a request for comment. Also, Nikola intends to have 700 stations as part of its 10-year plan, up from 350 stations announced earlier, he said. Some of the stations will go on other people’s properties, some will go on Nikola properties and some will go on the truck stops’ properties, Milton said. 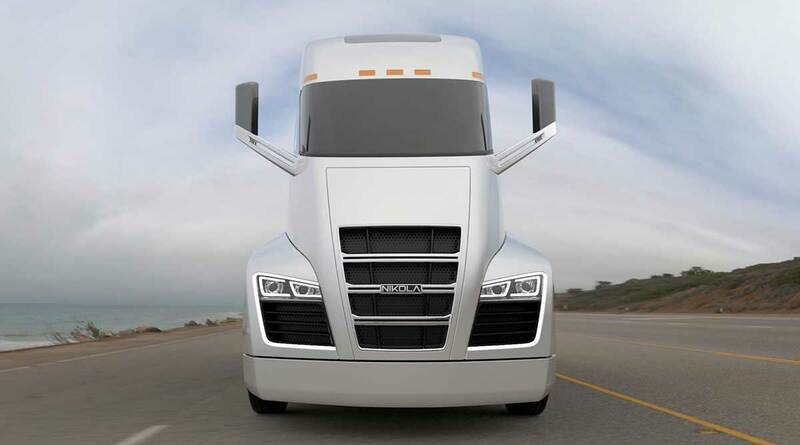 Each Nikola truck is anticipated to consume 50 to 75 kgs of hydrogen per day. Each station is anticipated to produce hydrogen at 10,000 psi or 5,000 psi. Also, Nikola’s objective is to produce hydrogen through zero-emission methods whenever possible by using wind, solar and hydroelectricity. All hydrogen vehicles will be welcome to fill at its stations, according to the company. Nikola’s announcement of its plans for fueling infrastructure came the day before Tesla Inc. debuted its battery-electric Class 8 truck.